Computers with browsers and operating systems that don’t support Transport Layer Security (TLS) will not be able to access AnyTme Access Online Banking after April 1, 2017. TLS 1.2 is the most current version and is considered to be the most secure. TLS 1.0 and 1.1 are earlier, now less secure versions. Browsers and operating systems that support TLS 1.2 will typically utilize it by default. After this change, users accessing AnyTime Access must use operating systems and browser versions that support TLS 1.2 and ensure that TLS 1.2 is enabled. Click on the link in the Documents box to the right for instructions to enable TLS 1.2 IE versions 9 and 10. Other browsers may be similar. 1. 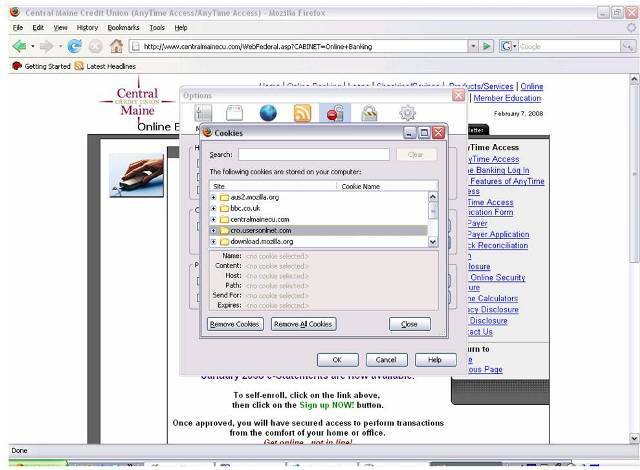 Online Banking Troubleshooting for Mozilla Firefox Users. Please scroll down to access the troubleshooting tip you need. If you enter your USER ID and cannot enter your password because you’re stuck in a loop that continuously asks for your USER ID, then please follow the screen shots below and make sure that your Privacy Settings match what’s in the screen shot. Verify that the settings on your PC match. If your Privacy Settings do not match those in the screen shot above, then change them and click on OK. If changing your Privacy Settings doesn’t work, then check your Cookies Exception Settings and remove Central Maine Credit Union from your Exceptions Settings by clicking on Tools – Options – Privacy. 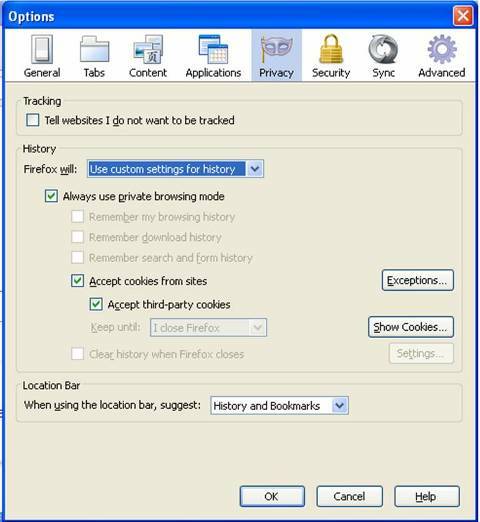 Next to Firefox will: select Use custom settings for history. Your Exceptions – Cookies box should look like the screen shot above. 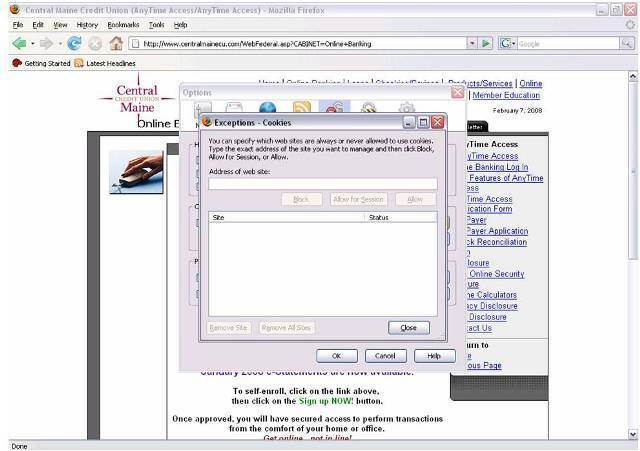 In addition to checking your Exceptions – Cookies Settings, click on Tools – Options- Privacy- Show Cookies and highlight cro.usersonlnet.com and then click on Remove Cookies. Next, click on Tools – Options – Privacy. Then click on the Settings button and make sure that your set up looks like the screen shot below. Click on OK twice. If this does not work, then please contact your Internet Service Provider. Go to your home screen, which looks like the screen shot below. 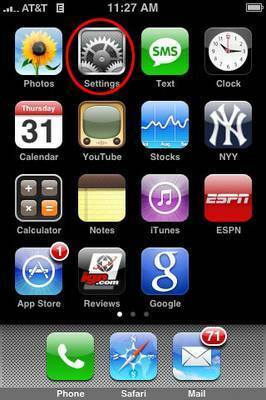 Your iPhone's cache is temporary storage space on your device where recently viewed Web pages are held. Cache allows Safari to quickly load a previously visited page without having to reload the entire page and its images from the Web server on subsequent visits. You may have the desire to delete your iPhone's stored cache for a variety of reasons. This tutorial will show you how to accomplish that feat in a few easy steps. 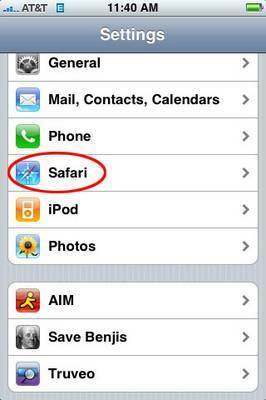 Safari's Settings should now be displayed on your iPhone. 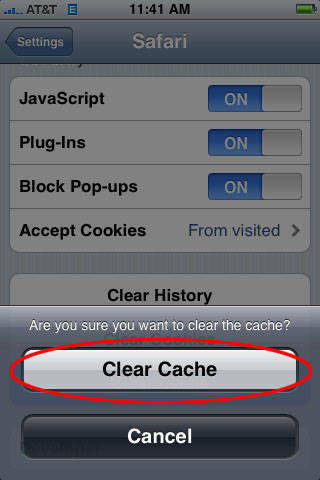 To continue deleting the browser's cache, select the option labeled Clear Cache. Now try to log in to mobile banking.